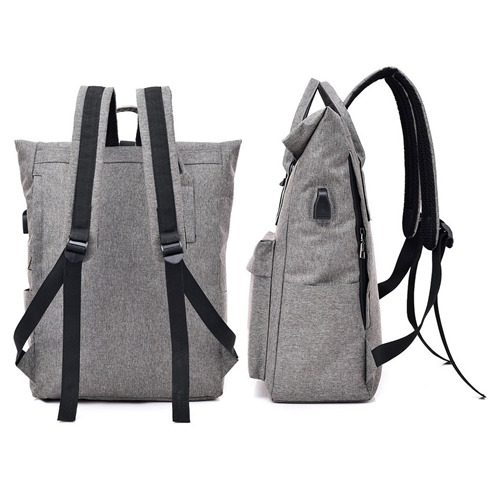 This modern stylish laptop backpack is made from high quality polyester. It has one front zipped pouch, inside has 2 compartments: one for laptop and ipad with black velcro closure strap, this pouch is padded thicker to protect inside laptop and ipad, second small pouch for keys and small items. 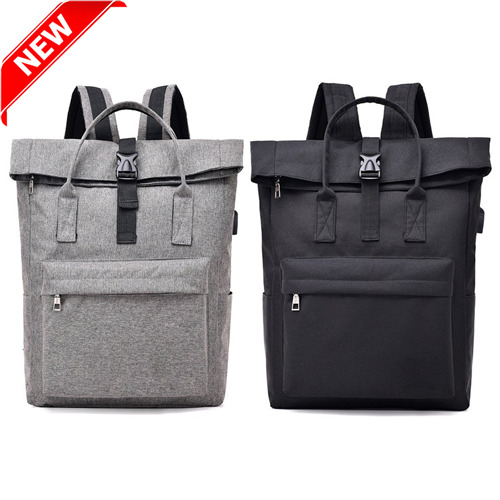 Two side pockets can hold both drinking bottle or mobile phone. It also features USB charging port with a charging cord attached, and adjustable straps. 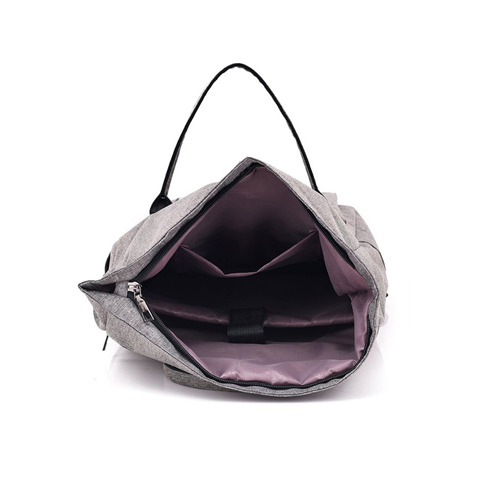 Bag has a zip closure top, and top part bag can be folded to make the bag smaller, two handles are available for you to carry the bag by hands.